A Community Conversation is an invitation to bring diverse groups of people together in public places to enter into deep, meaningful conversations in an atmosphere of dignity. 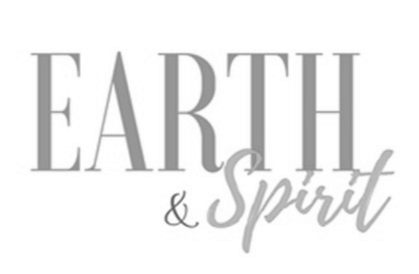 Based on the Conversation Cafe model that creates a space to move from small talk to big talk, Earth and Spirit takes it to the next level and asks What would it take to move from talk to action? The conversations that emerge can become a catalyst, as you explore the strengths of your team, spark innovative ideas, foster leadership and recognize untapped potential. With a focus on social change, conversations can inspire ordinary citizens to become extraordinary stewards for social change within their community. Invite Earth and Spirit Community Conversation facilitators to your school, organization, or board retreat. Conversation topics can be customized for each audience. Kim Holl hosted a series of monthly Community Conversations in collaboration with the Victoria Multifaith Society and the Open Door Sanctuary from January to May 2018. Each month had a different theme, offering a unique opportunity to explore aging, death and dying as part of living vibrantly. From entering the forbidden conversation, to exploring aging in our culture, the role of elder, our legacy, transforming grief, and even life beyond life. 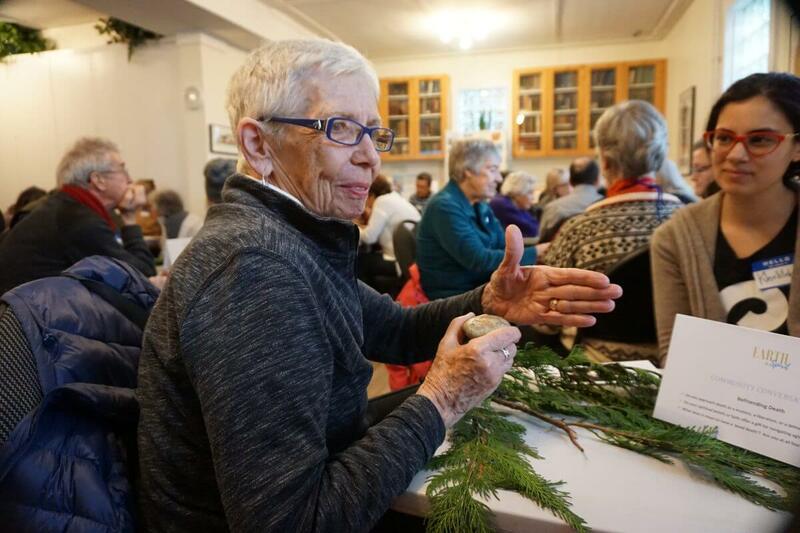 The events offered an invitation for people of all backgrounds, beliefs, faiths and cultures to learn from one another, to share their wisdom, resources, perspectives and tools for aging well. It was a chance to build resilience and to demonstrate that the wisdom is always in the room. We began as strangers and yet through the course of our conversation we revealed such intimate stories and feelings. There was tragedy, sadness and great joy. There is a richness with being able to share meaningful conversations. They take you somewhere you might not go by yourself. Empower resident leaders to explore creative solutions for launching a new product line, identify a new target market, create a new sales jingle for marketing, design your social media campaign, or brainstorm the look and feel for your new website. You will be amazed at the untapped creativity that you have right below your nose. Tapping into and honouring the creativity that exists within your team, goes a long way to building rapport and fostering leadership within the ranks. Community Conversations can be used as a collaborative tool for decision-making, problem solving or resolving conflict. Once issues or problems are identified, the circle then focuses on finding resolve. When stakeholders work together to develop a mutually acceptable solution, powerful things can happen. Teams are strengthened from the inside out. Listening is key to effective communication. Without the ability to listen effectively messages are easily misunderstood – communication breaks down, and both the sender and receiver of the message are left frustrated. Good listening skills can lead to: better customer satisfaction, greater productivity with fewer mistakes, increased sharing of information that in turn can lead to more creative and innovative work. Using the Agreements, our conversations become as much about listening as speaking. Explore the strengths, weaknesses and blind spots of your team. Uncover issues that may be hindering communication or be effecting the work climate. Brainstorm possibilities for restoring harmony and moving towards excellence. Examine the benefits of creativity in the work place and identify if your creativity is being under-utilized. Unearth the pure potential of the team. Host a Community Conversation for your next staff meeting or Board retreat. It is a great way to start off the day exploring possibilities or close the retreat by capturing highlights and actionable steps moving forward. Keep it light, or go deep. Depending upon your topic, it can be a fun and light-hearted experience, or it can create a shift and challenge paradigms. Fostering philanthropy in your school, business or organization offers people another reason to care deeply about where they work or learn. Host a Community Conversation to help unite your group, identify a cause you care about, and create a roadmap for making a difference – with actionable steps and timelines. Contact us to schedule your Community Conversation.